Well sort of....in the duck pin bowling way of looking at things at least. I still have a post left in me about duck pin bowling from our visit to Danbury this past weekend but I couldn't resist grabbing this photo while we were there and posting it. I think pops will enjoy this one the most. It doesn't seem to matter how you slice it. 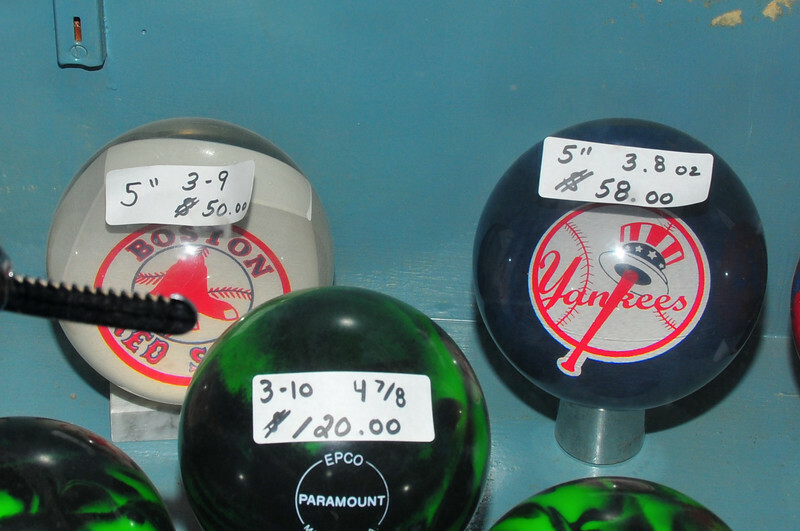 The New York Yankees are always worth more than the Boston Red Sox. Of course a green Paramount ball is worth even more.